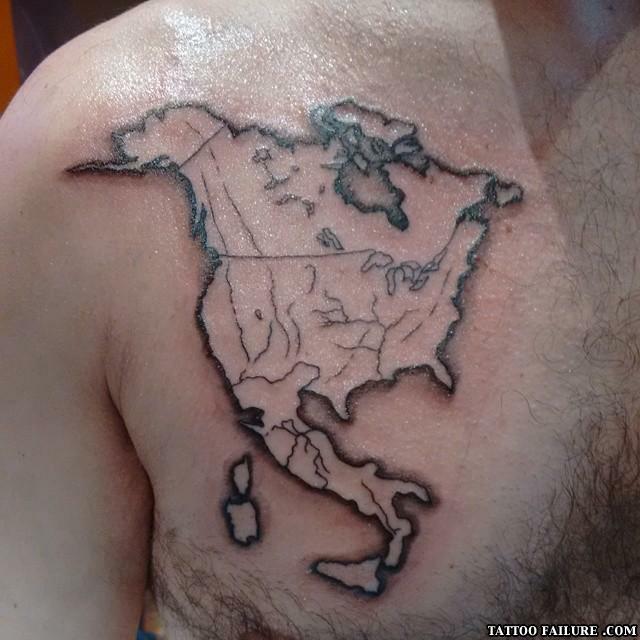 Tattoo Artist: It will only take me a second to google a map of North America Client: Nah, eff that. Just do it from memory. Tattoo Artist: Are you sure? It'll only take me a second. Client: Just do it, damn it! If I can't have the 'Murica I want, i'll draw it. What better way to say Italian-American? America! stop kicking the mafia-people! A:Will you be my valentine?